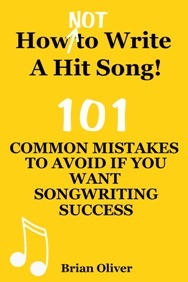 While it’s true that the melody and the title are regarded as the most important parts of a song, it would be a huge mistake to believe that the quality of the lyrics doesn’t really matter if your song has a strong melody, a catchy hook and great beats. And just to prove that writers should never settle for lyrics that they know are second-best, new research from YouTube shows that lyrics are becoming more important than ever. According to YouTube, searches for the term ‘lyric video’ are now at an all-time high. The Google-owned video-sharing website claims that some 100 days’ worth of videos with ‘lyric video’ in the title have been uploaded so far in 2014 (attracting more than 850 million views). And more major artists are now creating their own official lyric videos as a teaser for their official music video. YouTube says Avicii’s lyric video for ‘Wake Me Up’ currently tops the ‘most viewed’ list, having been watched almost 199 million times.